My dad is big on giving advice or as I like to say sometimes, “lectures”. He has an opinion about everything, big or small. The crazy thing is that he is usually right. He’s a smart man who knows his stuff and I know I’ll get, “I told you so…” if I don’t listen to what he is telling me to do. It’s happened more than once! I’m starting to learn after 39 years! I think it’s my turn to give my dad some advice especially now that he is getting older. Don’t get me wrong, he’s still as sharp as a whip, but I think it’s my turn to give him a couple tips! Hopefully, he listens to me because they are important ones. 1. Get moving. My dad is a bit on the heavy side, but is pretty active with all the outdoor chores he does. He practically lives outside during the summer. I think it would be a great idea for him to go for walks or bike rides. Physical activity is good for the body and soul and will also help him maintain his strength and agility. It can also improve sleep and diminish chronic pain. Spending time outdoors in nature always makes me sleep better at night. I think it’s all the fresh air. The key is to start slowly and work your way up in physical activity to avoid injury. 2. Deal with pain so it doesn’t slow you down. Aches and pains can stop you from enjoying the things you love. My dad often gets back pain from an old hockey injury. I’m suggesting to him to talk to his pharmacist about ALEVE to manage pain and inflammation. 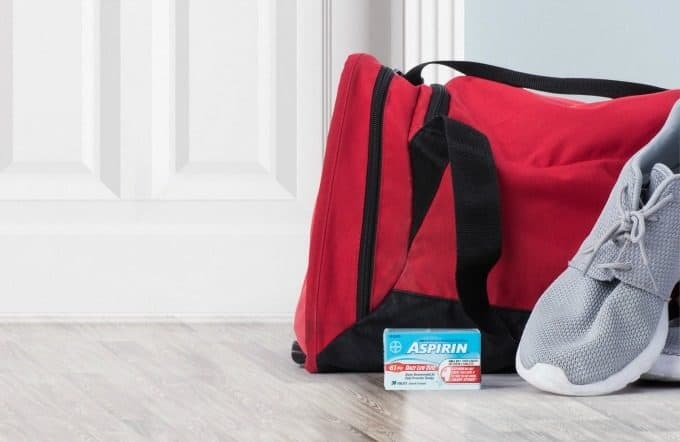 ALEVE offers up to 12 hours of relief so he can get back to doing what he loves the most. It also has an easy-open arthritis cap which is great for him. He can get relief fast and get back to enjoying life. 3. Eat your daily greens. My dad is big on fried food. His fried bologna sandwiches are famous in our family. He needs to remember to eat his veggies like he told me to when I was a kid. With all the seasonal produce available, it’s the perfect time to load up his cart and lighten his meals. This grilled veggie recipe looks delicious! 4. Have a difficult conversation. It’s not being negative, but proactive to have a conversation with dad about the signs of a heart attack. He has friends who have had heart attacks so I think it’s important to discuss. I would tell him to call 911 immediately and then crush or chew two ASPIRIN 81mg tablets. Being prepared could save his life. My dad can be stubborn, but I think he’ll appreciate these tips! I only want the best for him and want him to live a long, healthy and happy life. This Father’s Day, consider having your own talk with the dad in your life! What other tips would you add to my list? You really take care of your Dad! My Dad loves fried bologna sandwiches and I remember eating them to when I was a kid. I do not eat bologna anymore because it is not healthy. But it is hard to make sure my Dad stays healthy. These are great tips to follow. These are great conversations to have with your dad! Thanks for this post,it’s a great conversation to have with Dad. Great advice for us to give our fathers! Definitely good info that needs to be shared with fathers, at the same time perhaps have mom there too and explain that heart attacks often offer different symptoms in a woman to those suffered by men. ….my dad is now gone… cherish the time you have together…. my advise is if your father is still around, give him a kiss or two, and say I love you. My dad always had good advice, too. I just wish he was still around to have these conversations. I would say the dreaded discussion of having regular prostate exams – not many children want to approach that subject but it is vitally important to older men. I’m always having important talks with my dad, especially about staying healthy. Awesome advice!! I have a dad on the stubborn side but I hope he listens when I talk. A good conversation to have with anyone in your family! My Dad can be very stubborn when it comes to looking after himself. How about discussing their will, their financials, their end of life requests, their requirements should they have dementia or other senior issues. So important to have those conversations; thankfully my sister and I have already discussed this with our parents. Sometimes you just have to have the difficult conversations. They need to be had! I just had a difficult one with my dad, so I get it. It can be hard watching our parents age and we want what is best for them. This is such an important conversation to have. If my dad were still around, I would definitely have these types of conversations with him. It’s so hard when the tables turn and the kids have to start watching out for their parents, but the time will come with all of us. Great tips to keep them healthy since we want them around as long as possible!! 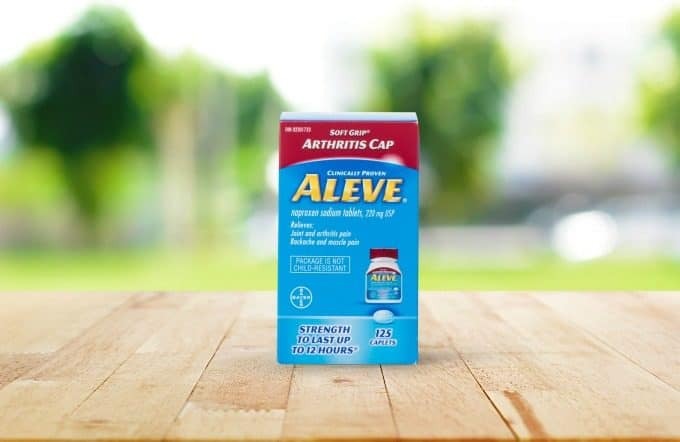 Aleve is a great way to reduce pain. It is so important to stay active as you get older. These are great things to talk to your parents about. Such great ideas. My Dad is going to be 65 this year. His health isn’t all that great. So I definitely need to have some hard conversations with him. I truly wish my dad would have gotten on an aspirin regimen, I think it would have been really helpful. I love this post so much. My dad and I talk about once a week and I make it a point to call him even if he says he’s busy! Our dads are the ones always giving us advice and I think we often forget that as they get older they need us to remind them of these important things! Thank you! good advice, I will take something from this.